The ASUS VE228H 22" Widescreen LCD Monitor, true-to-life pictures powered by LED, features Full HD 1080p visual enjoyment together with HDMI interface. The 10,000,000:1 smart contrast ratio dynamically enhances the display's contrast by adjusting the luminance of the backlight to achieve the darkest black and brightest white, delivering lifelike images. 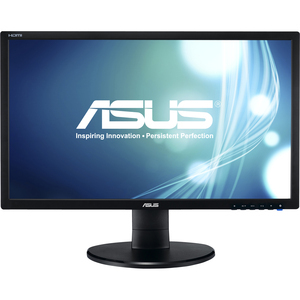 Product Description: ASUS VE228H, LCD display, TFT, 21.5"